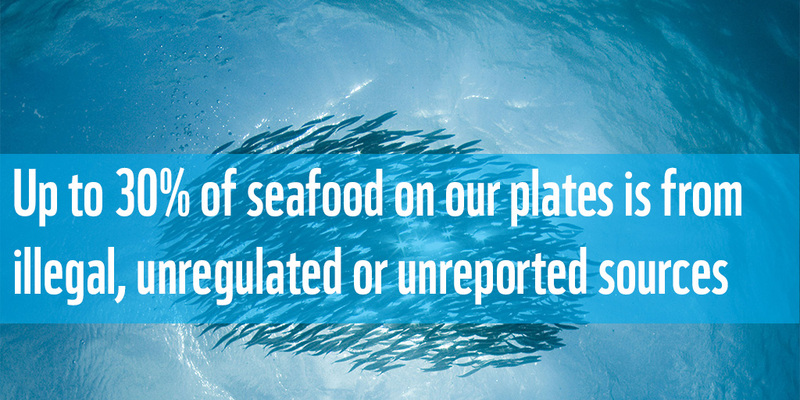 The European Union, as the largest market for seafood products in the world, must lead by example with respect to driving sustainable fisheries, both within its territorial waters and globally. While almost 60% of the European assessed fish stocks remain overfished or fully fished, thousands of kilos of fish enter the European market every day. But do we know where and how the fish on our plate was caught? The effective implementation of the EU fisheries policies, including the EU Common Fisheries Policy (CFP) and the Regulation eliminate Illegal, Unreported and Unregulated fishing (IUU Regulation) would ensure that all fishing activities carried out by the EU fleet, and all seafood products entering in the EU market, are environmentally sustainable. Despite a wide range of tools available to improve fishing operations, the implementation of the Common Fisheries Policy is however facing significant resistance and iconic species remain overexploited. This poses a significant risk that the EU won’t achieve the goals it has set. In WWF we use our Brussels-based presence and existing positive relationships with the EU institutions (European Commission, European Parliament, Council of the European Union) to strengthen legislative measures of key marine and fisheries files, offering solutions for improved practices and implementation of the legislation, and facilitating the achievement of the targets currently in place. • MSY or Maximum Sustainable Yield is the largest yield or catch that can be taken from a fish stock each year without deteriorating the productivity of the stock. • TACs or Total Allowable Catches are negotiated each year by the EU fisheries ministers and determine quota for the amount of fish that can be landed. • Discards are fish thrown back into the sea, mostly dying or dead, because they are undersize, undesirable for the market or because fishermen don’t have quota for them. • EBFM or Ecosystem-Based Fisheries Management is an approach that assesses and limits the impact of fishing on marine species and the environment. • RBM or Rights Based Management is a tool that allocates the privilege to fish to an individual or group. Today, the European Parliament has taken a first but much too small step to tackle the challenge of overfishing in the Mediterranean Sea, the most overexploited sea basin in the world.